The foundation of keyword research is paramount to search engine success, this is a fact that I cannot stress enough. To increase the number of relevant searchers and see a better return on investment (ROI), the first thing every website owner needs to do is identify all relevant keywords and key-phrases that will be used for the sites content and promotion. A potential customer or visitor analysis should be the start, then a deep keyword research campaign should be done from that seed data. A keyword research analysis is something containing vital demographic and other information should be made by conducting in-depth research in your market or niche. You need to do this so that you understand the words, slang and phrases your potential customers use in everyday life. With proper keyword research methods, you will learn how they talk and interact online and how they perform their web searches, especially prior to taking action on a purchase. Finding those ‘selling’ keywords is extremely important and helpful to any service or sales based business, in fact they are mandatory for true success online. When you don’t know your target customer, you miss important opportunities to interact in a mutually beneficial way. You have a harder time increasing your ROI and your brand name stays hidden in the shadows. 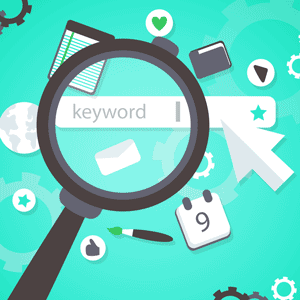 You greatly benefit by conducting proper keyword research, so don’t neglect it if you are looking to succeed with any business online.